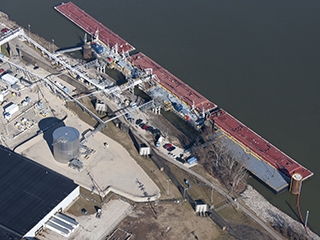 Working as the Prime General Contractor on this project on the Ohio River, C.J. 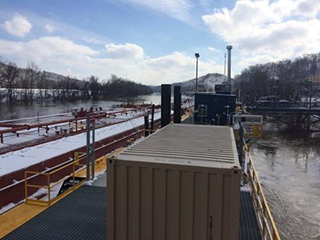 Mahan Construction Company successfully completed this project which expanded and upgraded Marathon Petroleum’s Catlettsburg, Kentucky and Kenova, West Virginia Oho River dock facilities. 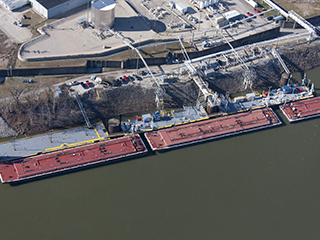 The Kenova work scope included the construction of a sheet pile mooring cell, installation of three dock floats, gangway installation for barge access, debris deflector installation, and miscellaneous mechanical, electrical, and structural upgrades. 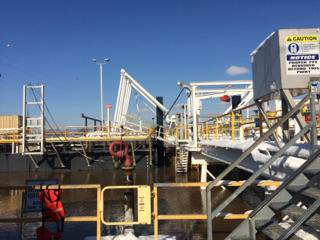 The Catlettsburg work scope was almost identical. 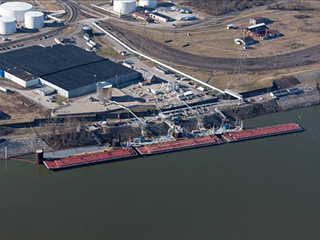 All work was successfully completed from a floating plant on the Ohio River, on budget, and on schedule in approximately 5-months during the refinery shut-down period and on an extremely aggressive schedule.